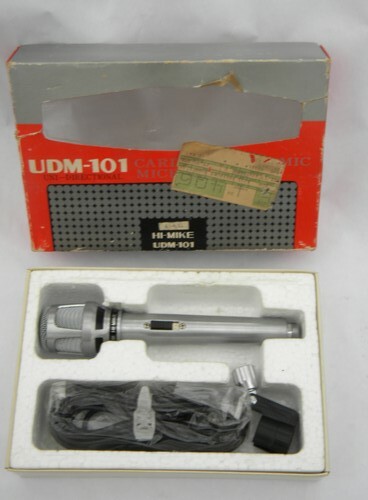 Vintage 1960s Teisco model UDM-101 audio microphone with the original box with shipping label. 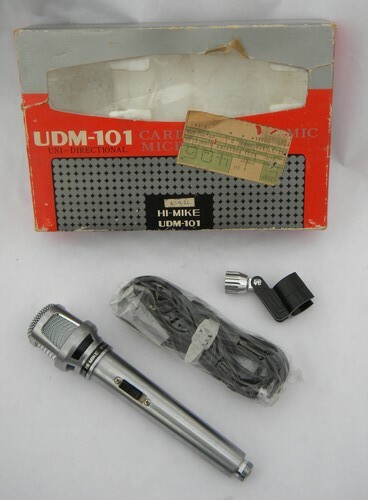 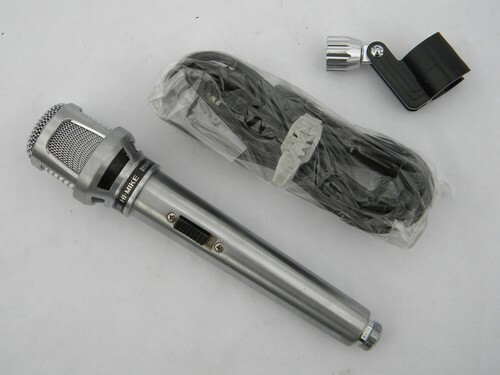 This mic is marked as - HI-Mike UDM-101 Dynamic Microphone - Made in Japan. 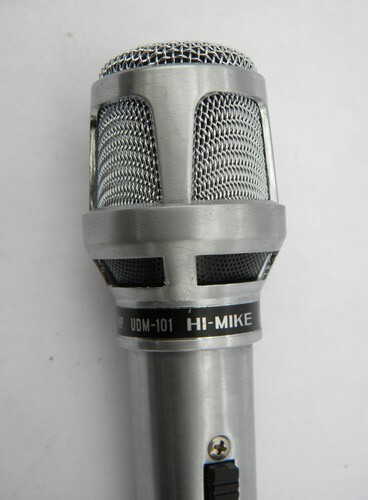 According to the box this is a unidirectional dual impedance (high and low impedance) microphone. 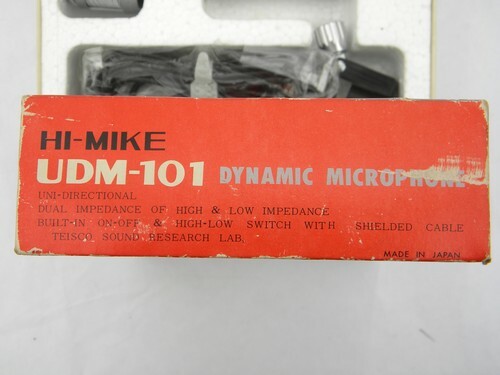 We&apos;re not sure of the exact vintage of this mike (early 1960s we think) from the markings on the box we&apos;re guessing that it is probably from 1962. 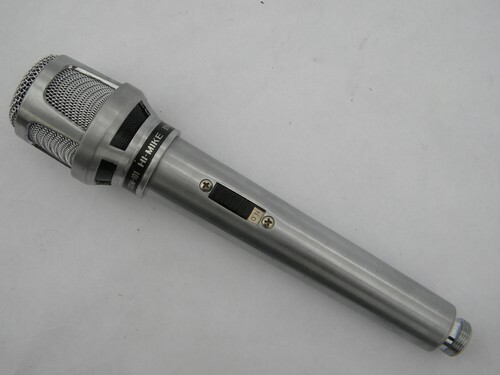 This vintage microphone looks in very nice condition. 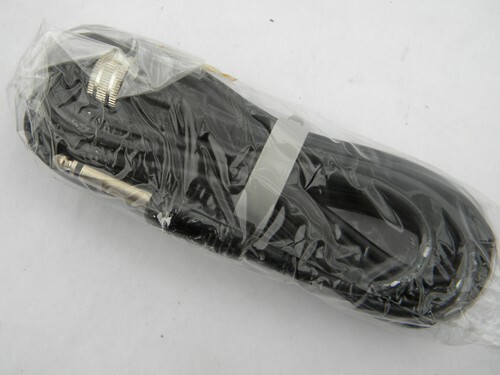 We&apos;re not sure if it has ever been used as the microphone cable is still sealed in the original cellophane bag. 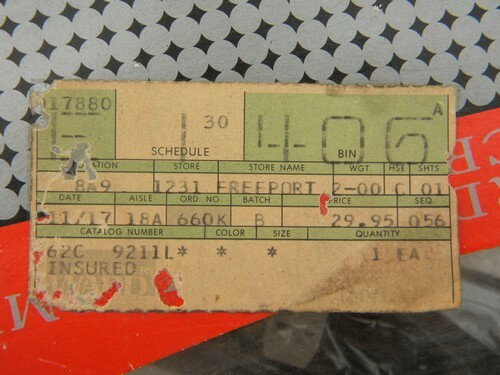 But there is wear, soil and damage to the original box.